Armed with a bag full of unique bombs known as "BIM," the players are tasked with killing seven of their fellow participants to obtain their green crystals, used as proof of their victory, in order to return home. Initially condemning any form of violence, Ryouta is forced to fight when he realizes that many of the other players are not as welcoming as they may seem. 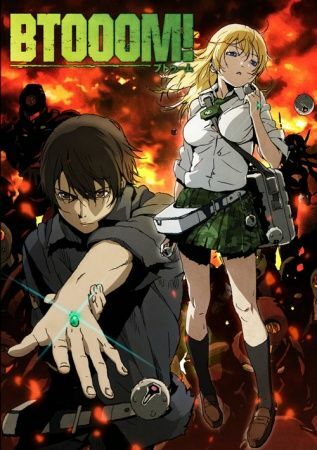 Teaming up with Himiko, a fellow Btooom! player who turns out to be his in-game wife, they attempt to get off of the island together, slowly coming closer and closer to the truth behind this contest of death.